There are some default prevalue source types that can be used. For each prevalue source you setup, a json file will be generated in ~/App_Data/UmbracoForms/Data/prevaluesources. Upload a textfile that contains the prevalues. Each prevalue should have its own line in the file. Once the file has been uploaded, you can find it in ~/App_Data/UmbracoForms/Data/PreValueTextFiles. With this type you can connect to a OleDB compatible database table and construct a prevalue source from it. Once selected it will be editable from the forms UI. 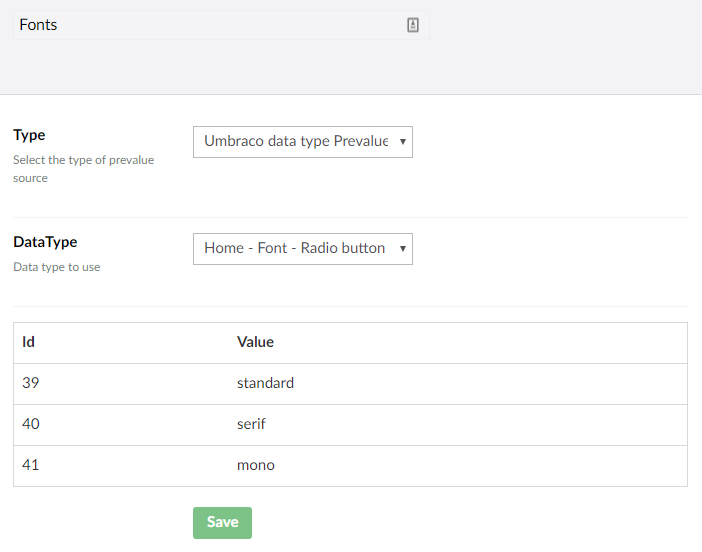 Choose an Umbraco data type to use its configured prevalue collection. 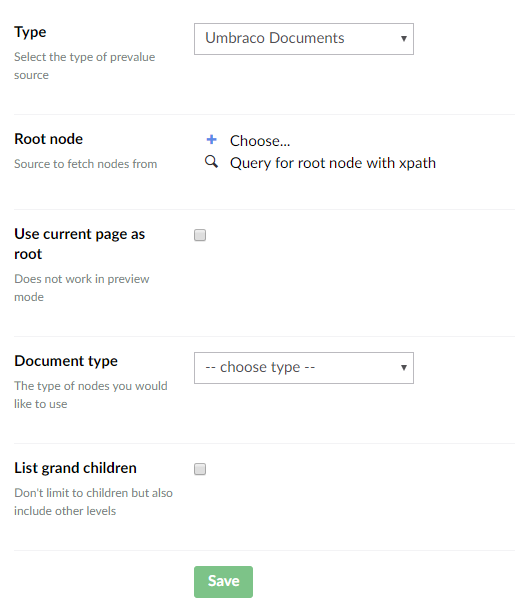 This type lets you use content nodes from a specific source as prevalues.